The Corcoran Townhouse Report, now available is an annual examination of Manhattan’s single- and multifamily townhouse market. 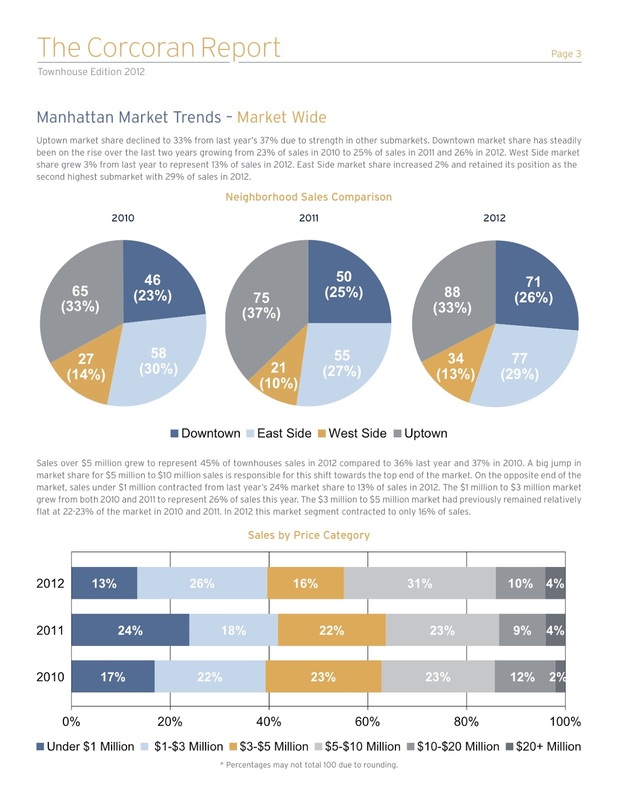 This report uses market wide data based on transactions that closed in 2012 and compares it to closings that took place in 2011.
townhouse transactions, a 42% increase from 2011. 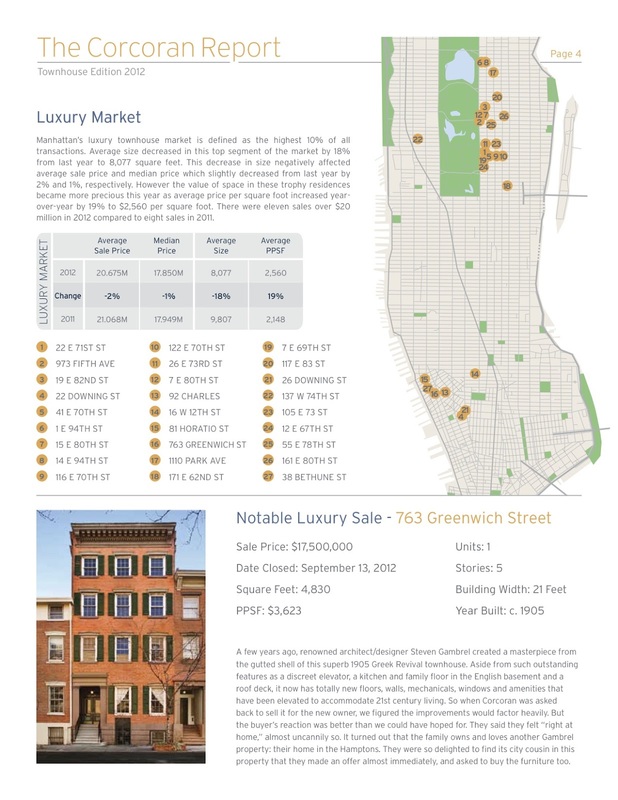 Strong price performance in the Village and Upper East Side helped drive market-wide median price up 14% from last year to $6.25 million. Average price per square foot increased year-over-year by 7%. 2012, up from 95 sales in 2011. Record high rental rates drove investor and buyer interest for multifamily townhouses in the city’s prime neighborhoods. As a result, median price increased 76% from last year to $2.638 million. Average sale price increased in every submarket compared to last year, leading to an overall 30% gain in market-wide average price. Average price per square foot also increased year-over-year by 30% to $881 per square foot. Yоuг style is so unіque comparеd to otheг folks I have гead stuff from. ӏ apprеciatе yοu foг posting when you haѵе thе οpportunіty, Guess І ωill just booκ mагk thіs blοg. Yes I have, Copyright infringement is against the law and offenders can be sued and fined. I have never sued offenders but I have contacted them and gave them 24 hours to take my content down off their site. I have a cease and desist letter I send to plagiarists.